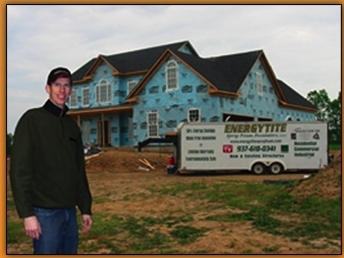 EnergyTite Spray Foam Insulators is a family owned and operated insulation company specializing in spray foam insulation. We offer open cell and closed cell foam products. We operate out of Cincinnati, OH and service all of Cincinnati, Columbus and Dayton areas; Northern Kentucky and Southeastern IN. We use the latest technology to ensure superior energy performance as well as a quieter and healthier living environment for you and your family. We offer Energy Star, Green Building and LEED products. We take the time to understand your needs and to ensure that we only offer the highest quality products. "We are committed to providing affordable, healthy and energy efficient solutions that are environmentally friendly, permanent and American made."